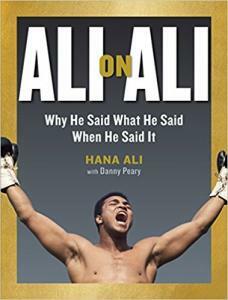 Hana Ali is the daughter of Muhammad Ali and sister of boxer Laila Ali. Hana has written More Than a Hero, published by Pocket Books, and coauthored with her father The Soul of a Butterfly, published by Simon and Schuster. She is a freelance writer for CNN.com and has appeared on the Oprah Winfrey Show and in documentaries, including Muhammad Ali Through the Eyes of the World.